We are very excited to continue our Community Running Club! On July 4th we finished up the spring session with a great showing at the Arnold Mills 4-mile Race in Cumberland and a BBQ at Coach Kim’s house afterwards! The next session will run from July 18th to October 29th and would love to see some new members join our existing crew! 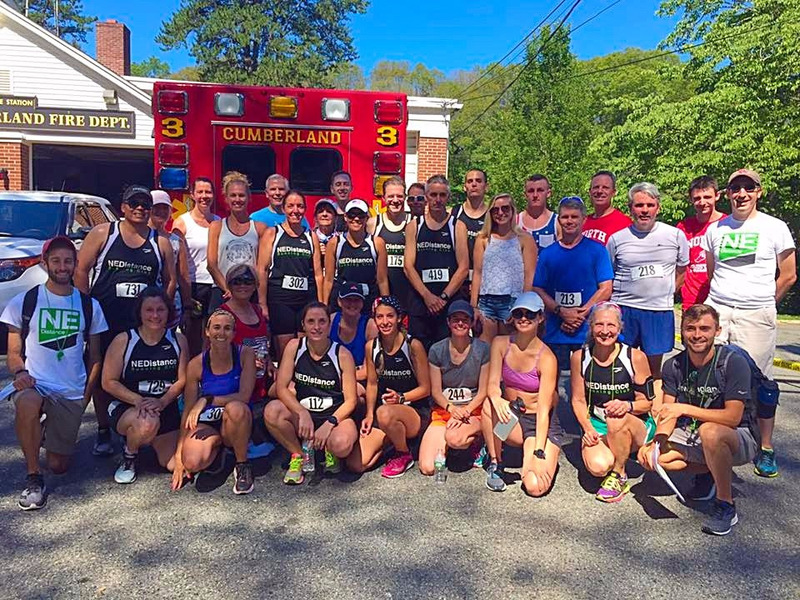 This club is designed to create a positive, all-inclusive running community that allows community members to set and achieve goals, while staying healthy and having fun. For this session, we are adding student and family membership options so there are no excuses not to join! Sign up at this link. 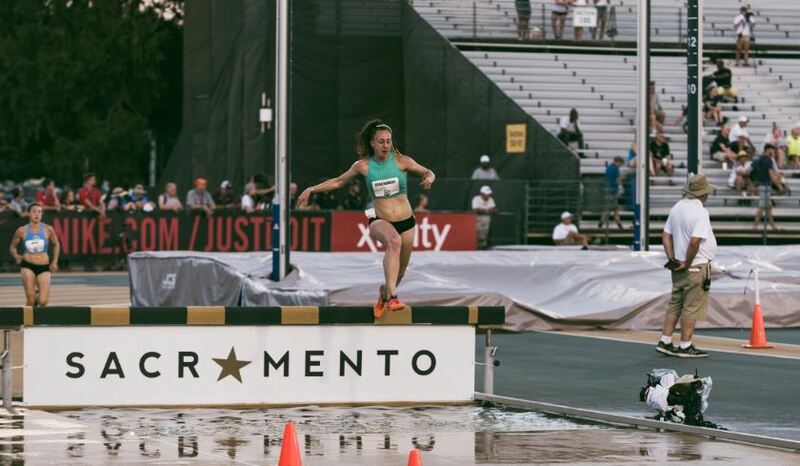 Our newest elite team member, Rachel Schilkowsky, is fresh off a season’s best performance in the steeplechase at the 2017 USATF Outdoor Championships in Sacramento, CA in June. Her time of 10:04in the preliminary round earned her an 18th-place overall finish. Read her thoughts on it here. Rachel is continuing to race this summer as she and her husband John make the move down to Providence. Please check out Rachel and John’s story here. Congrats, Rachel, and thanks for being a part of our team! Henry Sterling, who was oh-so-close to qualifying for USAs in the steeplechase, rebounded with a trip to Bermuda on July 1st to take part in their Invitational Area Permit Meet where he placed 3rd in the steeplechase. What a trip to end the season with! Up next on the racing schedule is Aaron Dinzeo in the 10k at theWestern Mass Distance Project’s Friday Night Lights Meet in Cambridge, MA on July 14th. Come watch this dude race!